Learn more about Sin City’s rich history through museum hopping! Starting today until September 1st, museums all over Las Vegas and Nevada are encouraging more tourists and locals to visit by offering discounted entrance fee rates. Some places will even let you in for free! Step inside the Boulder City/Hoover Dam Museum and relive the stories of many men and women who dedicated their lives in building the momentous Hoover Dam and Boulder City. In this museum, you’ll see interactive and 3D exhibits and displays depicting the economic and social triggers that drove these people to work in the sweltering desert. Entrance fee to the Boulder City/Hoover Dam Museum is $2 for adults and $1 for kids. 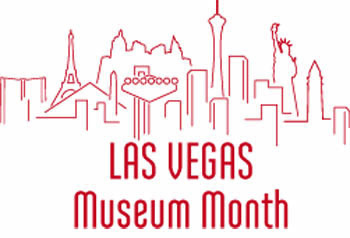 Out-of-town visitors are admitted for free for the entire duration of Las Vegas Museum Month. Ever wondered what happened to those old neon signs that once dazzled The Strip? Head over to the Neon Museum and you’ll see them there. With over two acres of outdoor space, Neon Museums houses over 150 neon signs of various shapes and sizes with the purpose of educating and enriching the public about them. This Las Vegas Museum Month, The Neon Museum lets tourists in for a reduced local rate. In a city as busy, opulent, and booming as Las Vegas, it isn’t a surprise to know that mobsters used to do their “businesses” here in the past. If you want to learn more about organized crimes, mobsters, and their impact to society, visit The Mob Museum. The Mob Museum features rare artifact, exhibits, and videos showing the history of mob history. This Las Vegas Museum Month, tourists’ rate are reduced by $5. Free parking will be provided to Nevada residents visiting the museum. Apart from the above mentioned, the Marjorie Barrick Museum at UNLV, National Atomic Testing Museum, Springs Reserve, and Lost City Museum are also offering discounted entrance fee rates. Take advantage of this and visit as many museums as you can. Call up Earth Limos & Buses to get your own limousine for the day. This eliminates walking under the hot sun or commuting just to get to several locations. Your chauffeur will not only ensure that you stay cool and comfortable, but he will make sure that you’ll arrive at your destinations safe and fast. Visit www.earthlimos.com or contact them at 725-777-3333 to know more about Earth Limos & Buses’ different service options.